Welcome! My name is Dr. Leah Gniwesch and I am a certified life coach and life coach trainer with over 16 years of experience in the coaching field. I am passionate about helping my clients live long healthy lives while manifesting their limitless potential. Through the coaching process, my clients reduce stress, create balance, and embark on the lives they were meant to lead; lives that are infused with value, meaning, relaxation and joy. When you work with me as your coach, we will co-create your present and future based on your strengths, skills and abilities. I give honest feedback and help you to develop a plan of action for moving forward. I will also help you follow through on that plan. In addition to coaching individuals and couples, I have given workshops at various venues including the 92nd Street Y in New York City, and I am trainer in corporations and NGOs, including Amreg, Nefesh B’nefesh, the JDC (Joint), Shekel, Koloplast Medical, and the Diller Foundation. My undergraduate degree is from Hebrew University in Jerusalem, Israel, and my PhD and MA are from Yeshiva University in New York. I am a certified life coach through Dynamic Wellness Strategies in Plantation, Florida and have received numerous additional certifications and training in fields that include NLP, Interpersonal Therapy, MSBR and Geriatric Studies. I am the co-author of numerous scientific articles and am currently putting the finishing touches on my coaching manual. 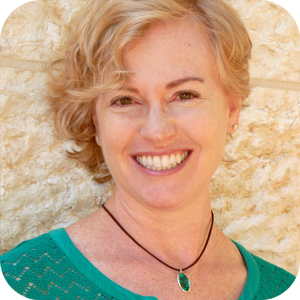 I am a licensed psychologist in Israel and I founded the Jerusalem Coaching Institute in 2006 where I train the finest life coaches in Israel. I love what I do and since making the shift from therapist/researcher to certified coach in 2002 I have never looked back! Seeing the extraordinary changes that my clients make in themselves through our intensive and powerful work together energizes and excites me. I invite you to join in this journey! To schedule a complimentary phone consultation contact me.